Post-Election Kyrgyzstan: An Ally Lost or Regained? Since the US military campaign in Afghanistan has become a major preoccupation for the current administration, a small Central Asian republic providing the cheapest and most viable shortcut for US troops into the battlefield is now wielding uppermost geopolitical influence. But will it remain a close US ally or change its tack after the latest parliamentary elections? The last year’s parliamentary elections in Kyrgyzstan, a country that saw its former president unseated in April and its southern provinces abundantly washed in blood after a series of ethnic clashes a few months later, passed by largely unnoticed, to the surprise of those knowing the region and its importance for outer powers. The former island of democracy, as it was dubbed in the West in the early 2000s, and now a locus of utmost strategic value for the United States waging its unrelenting campaign in Afghanistan, has found itself in a rather dubious situation, playing the game that it was not prepared to play. This skillful balancing act that former President Bakiyev and his entrenched supporters had vividly failed to accomplish is now incumbent upon the newly instated authorities with Roza Otunbayeva, previously foreign minister and ambassador to the US and Canada, as president. The October 10th elections to the Parliament did not yield any substantial result, as neither party managed to win a clear victory and thus to distance itself from others in building up a sustainable majority. That means that once Kyrgyzstan’s legislative body assumes its duties, those in the lead will have to negotiate a political truce to engage in talks and propose constructive changes to what is now a ramshackle system of government starting to slowly slump into the same quagmire of nepotism and collective irresponsibility as under Bakiyev. While Kyrgyzstan, once an island of democracy drawn ever closer to the harsh reality by strong political winds blowing from abroad, has to put its house in order, extraneous powers are not sleeping. The most ironic thing about this rather poor country of Central Asia deprived by the nature of any considerable mineral resources, unlike its northern and western neighbors, is that it is now home to the military bases of two superpowers, Russia and the United States. In December 2001, Kyrgyzstan opened its doors to the American troops going to Afghanistan, just a few months after the deadly terrorist attacks on the World Trade Center in New York. This decision of the Kyrgyz government was approved by the Kremlin, which hoped, at the very beginning of the military campaign against the Taliban, that Americans would take the chestnuts out of the fire in place of Russians. In less than 2 years, Kyrgyzstan welcomed Russian air forces on the grounds of an old Soviet base and pilot training school where local soldiers had been trained by expert instructors from Odessa back in the 1940s. Thus, a small Central Asian Republic became second home to parts of two most powerful militaries in the world, both trigger-happy and at times reckless. But what kept the attention of regional and foreign observers throughout all these years was not the Russian, but the American military base at Manas, whose inhabitants are still accused by locals of engaging in frequent scuffles and of indecent behavior. Though these accounts may provide enough evidence for the government to start scrutinizing the situation for breach of national law, the issue turned out to be highly political from the outset. The 17 million US dollars that Americans had agreed to pay for the use of the Manas International airport and its facilities to ship cargoes to Afghanistan had been safely pocketed by the country’s leadership until it discovered that the US Department of Defense might be more magnanimous. But the Tulip Revolution of 2005 shuffled the deck and overthrew President Akayev, who did not have time to extort a larger contribution from the US. The new president Kurmanbek Bakiyev, who was appointed in 1985 director of the plant under the Soviet Ministry of electronic industries and soon propelled himself into secure government positions, threatened the Americans with a possibility of closing down the Manas base but later agreed to observe the previously endorsed terms. A new crisis in US-Kyrgyz relations surrounding basing rights erupted 3 years later. In February 2009, the US Embassy in Bishkek received an official note from the Kyrgyz Foreign Ministry proposing to vacate the place at the pretext that US presence in Central Asia was no longer needed to support combat operations on Afghan soil. A bit earlier it was announced that Russia would provide Kyrgyzstan with a 2-billion-US-dollar loan and another 150 million US dollars in the form of financial aid. Therefore, the issue of Manas found itself catapulted to the altitudes of sheer political bargaining, where the weaker side aided by the first stronger side was trying to compel the second stronger side to loosen its purse strings and dole out additional funds. This situation could not but trouble US military planners back in Washington, who were probably thinking that the so-much-hyped Great Game between Russia, the US and other big players in Central Asia was in the process of taking one scale of the balance too much down to the ground. 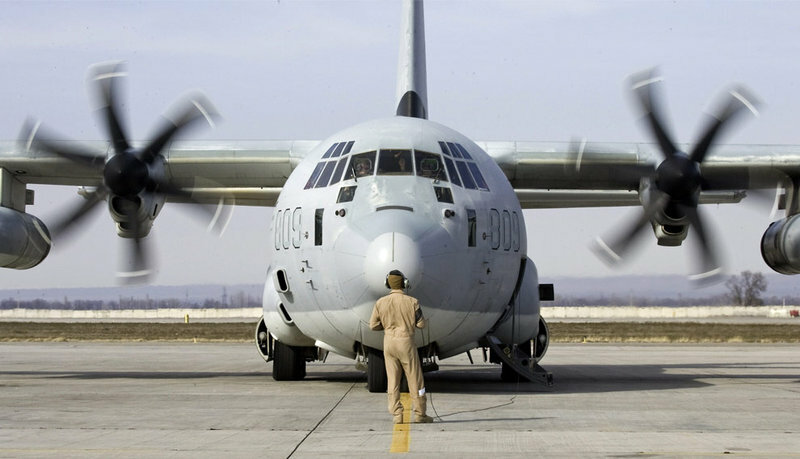 A new agreement rubber-stamped by the Kyrgyz Parliament in June 2009 stipulated that the US Government’s annual contribution for the stay of its armed forces at Manas would be 60 million US dollars, three and a half times more than had been previously agreed. Moreover, Americans promised to invest 36 million US dollars into the construction of equipped sites for aircraft storage and another 30 million into improvement of air traffic in the base premises. 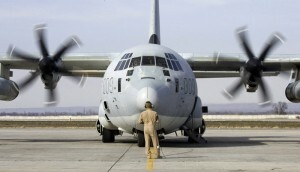 In a move likely to confuse some credulous observers, Kyrgyz authorities suggested renaming the military base which later came to be known as the Transit Center at Manas International Airport, as though US troops located in Afghanistan were in no need of combat support but required only logistical operations near the war theater. The story of the Manas base which has highlighted the country itself in a more vigorous fashion than its astonishing nature resorts and diverse culture is not over yet. Political turbulence in Kyrgyzstan, in which popular anger at corrupt and unaccountable rulers mingled quite naturally with merely strategic calculations of various power groups and their behind-the-scenes supporters, cannot be seen as a favorable condition for US troops staying in Central Asia. The strident move of Uzbekistan’s President Islam Karimov who ousted the American military from his country in 2005 after Washington’s harsh criticism of his handling of popular unrest in Andijan had proved to be demoralizing to some extent, as the US-Uzbek honeymoon ended in an abrupt and unexpected way. Kyrgyzstan’s playing with the fire, or rather two fires, each endowed with overblown ambitions and projections for the region, may prove to be as destabilizing. The current situation in the country can be characterized as highly chaotic. One has to bear in mind that when ethnic Uzbeks were being massacred in the southern provinces of Osh and Jalalabad, Russian President Dmitry Medvedev declined any invitation for Russia to intervene and put an end to the violence. The same position was reiterated by Nikolay Bordyuzha, Secretary General of the Collective Security Treaty Organization, to which Kyrgyzstan is a party since its founding in 2002. At the same time Russia was the only regional force capable of impacting the course of events, to its benefit or outright displeasure, as instability and uncertainty reigning in Kyrgyzstan from the moment of street clashes in April 2010 could not warrant any decisive policy. In the past elections, most Russian experts counted on the rapid victory of Ar Namys party headed by Felix Kulov, former Prime Minister under Kurmanbek Bakiyev, who is known to be a pro-Russian politician with a penchant for strong presidential rule. His party ended up third among the five winners, getting a bit more than 7.7% of the votes, but in the current situation of complete disorder such a victory is equal to defeat. Even if Ar Namys had been chosen by the Kyrgyz people to call the shots in the Parliament, its leader could not be able to impose a strong rule on the country, because on June 27, 2010 a referendum on the new Constitution concluded with the abolition of the presidential form of government in favor of the parliamentary one. This bodes anything but peace, as different parties will inevitably engage in political skirmishes and vie for influence in the one-chamber legislative body on which the Constitution has solemnly conferred ultimate authority and responsibility for the country’s present and, notably, future. Despite the fact that Russia’s president and prime minister had vowed no support to any political force in Kyrgyzstan both in the wake of bloody street protests and before the election campaign effectively started, 10 young activists of unidentified affiliation took to the streets of Bishkek on October 20 and urged Vladimir Putin to “keep his hands off Kyrgyzstan”. They later said that they had nothing to object to the Russian people, but wanted Russia’s top-level officials to stay clear of any involvement in Kyrgyz home affairs, purportedly referring to the fact that Dmitry Medvedev had previously received a few Kyrgyz politicians in his Kremlin office. Thus, the Great Game into which Kyrgyzstan had lured itself in pursuit of immediate gains is being played out regardless of what major “players’” intentions really are. So what does all of this mean for the United States? In spite of the public protestations of support that the US receives from its many allies and friends within NATO and even beyond (Kazakhstan’s President recently pledged to send a few dozens of soldiers to Afghanistan, when meeting with NATO’s Secretary General Anders Fogh Rasmussen in Brussels), it is not doubtless that it will manage to maintain the same level of allegiance, at least practically. The Manas air base turned transit center serves as a vital bridgehead for US troops in Central Asia, or to use the preferred locution of foreign-policy planners back in Washington, the region of Greater Central Asia covering namely North Afghanistan. It is quite problematic to tie one’s lot in a protracted and visibly unwinnable war with a country whose tack depends on the weather, which is right the case of Kyrgyzstan. The Obama administration, which a lot of conservative Americans keep on criticizing for the alleged capitulation before the rising Chinese power or a more confident Russia, is now confronted with explaining to those who once basked in the sun of American supremacy under Bill Clinton and George W. Bush that this supremacy is fading away. As it usually happens to ageing ex-champions, they get forgotten with the time. Unless the United States succeeds in reasserting itself on the world stage as a viable and trustworthy pace-setter worth imitation and esteem, present-day American allies will continue to look in its direction with less trust. And if those do not see any more gains to derive from close cooperation with Washington, they will finally jump ship. A few years ago, Paul Kennedy’s talk about “imperial overstretch” might have the appearance of a remote and unlikely scenario, but it is gradually fulfilling itself in the world of rapid political and economic transformations, in which military force tends to become redundant and irrelevant. At the same time, the US involvement in all the wars that the former president voluntarily shouldered on the fly is heavily predicated on the sentiment of self-respect, reducing flexibility and cutting off ways of retreat. For the United States to wrap up its presence in Afghanistan, it would entail “dire” consequences for its credibility of a global player intervening wherever it wishes at whatever chosen moment. Speaking of Kyrgyzstan’s importance for America, one is entitled to assume that should the Transit Center at Manas not be closed down definitively, the Pentagon will not still be able to avoid increased payments and frequent admonitions from its Kyrgyz counterparts. Even if Russia sticks to fair play and refrains from pressurizing Americans in its former backyard in Central Asia, it will not sit in and watch the US troops entrench themselves close to its “soft underbelly”. The whole story of Manas proves rather eloquently that Russia’s commitment to partnership with the United States on the issue of jointly combating terrorism and drug trafficking from Afghanistan has its limits, and these limits have been trespassed upon on multiple occasions by US strategists and foreign policy makers. The fragile balance will remain in place as long as relevant people in the US Department of State and Department of Defense hold on to the policy of devising one carrot after another to sweeten the pill that the Kyrgyz will have to swallow, while continuing to turn a blind eye to all sorts of disturbances a foreign military base may be causing. The big stick to which the 26th President of the United States Theodore Roosevelt once referred will not be a good option, as it may provoke a knee-jerk reaction on behalf of the still sovereign government aided and abetted by Moscow. Thus, the Obama administration, while moving ever faster towards the straightforward recognition of America’s diminished standing in world affairs, would be subjected to blackmail from a small country with almost no clout in the surrounding region and a distressed situation at home. And this is definitely not what those in the White House or the State Department may be reckoning upon. It cannot be said with any degree of certainty when US troops will be forced to leave Manas or whether they will ever be in the near future. What is certain is that a great power cannot let itself depend on the will of reckless and slippery allies good at quickly trimming sails to the wind, if the latter changes. But the very idea of a great power implies greatness in both intentions and actions. The United States has started slowly to realize the limits of its own capabilities. Instead of waiting for the closure of Manas in Kyrgyzstan or other military facilities tailored to its ever growing, though not necessarily substantiated needs, the US might reconsider the whole of its activity in Afghanistan and think of other ways of helping this country out and possibly helping itself.